The Baby Products Association’s Annual General Meeting was held in London at the end of June hosted by chair Luke Burns who reported on the Association’s activities for the last year including the appointment of new executive committee members. Luke paid tribute to Andrew Ratcliffe of Dorel who has served tirelessly on the Association’s committee for many years, formally as chairperson and subsequently as treasurer. Andrew has now stepped down handing the role of treasurer over to Rachelle Harel of RHSM Group. Following Daniel Lucas’ resignation from the Committee Andy Crane of BabyStyle UK was appointed as vice-chair at the meeting and together with Rachelle Harel, Luke Burns and managing director Robert Anslow, will continue to serve the board until 2021. Members of the Association’s Executive Committee serve for a term of three years and two new members were appointed in 2017 Grainne Kelly of Bubblebum UK and Kris Hallee of Newell Brands/Graco. However, Kris has since stepped down from the position and following a members’ vote two new appointments were made – Helen Robinson of Diono and Jason Curtis of Mamas & Papas. The Association’s Technical committee continues its work reviewing the progress of standards in development by BSI, CEN and ISO and membership of this committee remains strong with 16 individuals. Three new members of the committee were welcomed in 2017 – Anthony Butters of BabyStyle UK Ltd, Stephen Redfern of Cosatto Ltd and Frances Andrews of Tee-Zed Products Ltd. In addition, two new members were welcomed at the 2018 AGM – Sean Tisdall of Cosatto Ltd and Julie Pentney of Turner Bianca PLC. Luke explained the important work of the Baby Products Association over the last year including its role as founding member of the European Nursery Products Confederation (ENPC) of which Robert Anslow is president. 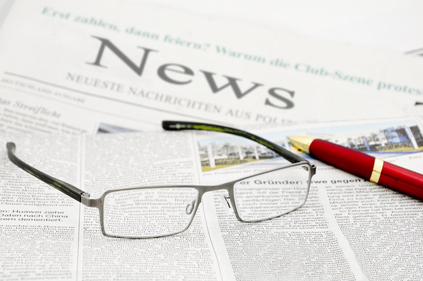 This organisation, which comprises trade associations similar to the Baby Products Association throughout Europe, continues standardisation and regulatory work at European level. The ENPC is also a stakeholder of PROSAFE; a non-profit professional organisation for market surveillance authorities and officers from throughout the EEA (European Economic Area). Funded by the European Commission, it coordinates a number of Joint Market Surveillance Actions where samples of a particular product are purchased throughout Europe and tested to the relevant safety standard. The results are published in PROSAFE’s report and this is submitted to the relevant authority depending on where the product was manufactured/imported. This has resulted in a number of RAPEX listings and recalls/withdrawal from market. As a stakeholder, the ENPC is consulted ahead of testing and provided with the report ahead of publication. This allows it to work with its member Associations, providing liaison between PROSAFE and the affected company. The Baby Products Association takes all measures to ensure that its member’s products comply with the relevant safety standards/Regulations and provides support when an issue arises. Luke also detailed the Association’s UK Pavilions at international trade shows, particularly its success at Kind und Jugend in Cologne, Germany at which it hosts the single largest allocation of space at the show. In 2017, 71 Association members participated in the UK Pavilion and 52 of these secured Department of International Trade (DIT) grants. The Association also hosted its UK Pavilion at CBME in Shanghai with seven participants, again the majority of these received DIT funding. The Association has, in the past, hosted UK Pavilions at the US show ABC Kids Expo but made the decision to put this on hold for 2017. This was due to lack of confidence by members following the introduction of a rival US trade show introduced by the US trade association the Juvenile Products Manufacturers Association (JPMA). The Association hopes to offer a UK Pavilion in the US again at some point in the future providing members with access to all global markets. 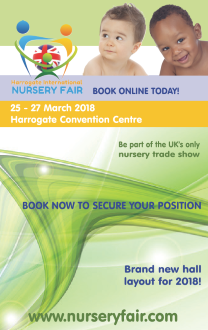 Harrogate International Nursery Fair continues to play an important role for the Association hosting its annual Baby and Nursery Trade Awards (BANTAs) which attracted 110 entries across eight categories in 2017. 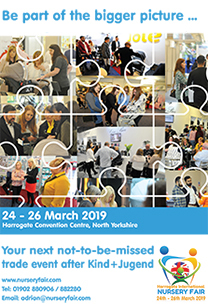 The show is also the platform for the Concept & Innovation Awards and its annual Seminar Programme presenting a range of pertinent industry topics. Among numerous other benefits, Association members receive a generous discount to exhibit at Harrogate. The AGM once again provided a great opportunity for finding out the latest industry information and this year was no exception with Sara Ludlam of law firm 3Volution giving an update on the new GDPR Regulation. This topic has been rife throughout every industry over the last six months and Sara explained that compliance may not be as complicated as once thought and she explained the most important points to consider. Gordon Maddan of the Office for Product Safety and Standards also gave a talk about the development of the PAS 7100: 2018 Code of Practice on consumer product safety related recalls and corrective actions including the roll out to Local and Primary Authorities. The AGM concluded with drinks and networking – and was a welcomed opportunity for the Association’s team to meet up with members both old and new. For more information about joining the Baby Products Association and reaping the numerous benefits of becoming a member, visit the website at www.thebpa.eu or contact Julie Milne – julie@b-p-a.org or call 0845 456 9570.